Turkish-born Israeli-American businessman who claimed $1 billion net worth at height of his empire dead at 95. Meshulam Riklis, a Turkish-born Israeli-American businessman, died Friday at the age of 95. Born in Istanbul, Turkey in 1923 as his parents were migrating from Russia to the British Mandate for Palestine prior to the establishment of the State of Israel, Riklis was raised in Tel Aviv. 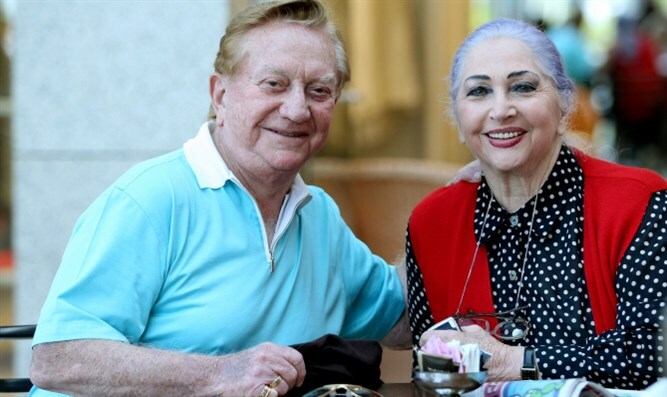 In 1947, at the age of 23, Riklis moved the United States with his first wife, Judith Stern. Riklis later divorced Stern, and married actress Pia Zadora in 1977. Zadora and Riklis divorced in 1993. Riklis married Tali Sinai in 2010. Riklis was a close friend of former Prime Minister Ariel Sharon. In 1972, when Sharon left the IDF, Riklis provided the loan Sharon used to purchase what would later become the famous Sharon family estate, Havat Shikmim (Sycamore Ranch) in southern Israel. At the peak of his wealth, Riklis claimed a net worth of roughly $1 billion. Riklis later published an account of the establishment of his business empire in the 2017 book "$950 Million in 40 Minutes". On Friday, Ichilov Medical Center in Tel Aviv announced that Riklis had passed away. He is survived by his wife, Tali, and four of his children. He was preceded in death by his eldest daughter, Simona Riklis-Ackerman.